We are blessed to hear these same words again in the First Reading for this Sunday’s Liturgy. As we have moved into the “Ordinary Time” of this new year, does the Light of the Incarnation still shine brightly in your life? Do you still live with abundant joy and great rejoicing? Each of the Scriptures today calls us to continue to eagerly seek the Light, to avoid any kind of darkness that would keep us from being free enough to “leave our nets”, our attachments, so that we can follow the Light of Jesus more fully each day. As we continue our journey in 2014, may the magical stardust of Christmas continue to glisten on our faces as we witness to the Light of Christ within us and among us throughout the year ahead. 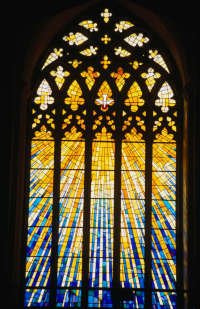 God of Light, renew us each day to live with abundant joy and great rejoicing. Open our eyes and our hearts to see your Light each day and to be free enough to follow in your ways of goodness, mercy, and peace with all those we serve and live among. Amen. Surely most people are vulnerable for the longing to be happy. I get a glimpse of this and understand the willingness to look all over the place for this treasure. But I so catch myself in my own life too –forgetting that the last place most folks look is right under their feet, in their everyday activities, accidents, and encounters. What possible significance could there be in a trip to the post office? How could something as common as shoveling snow or washing your dishes, walking your dog, or having a tooth filled be a door to greater happiness? I think it can and I think ‘thankfulness’ is the X that marks the spot and one I often cannot see because I am standing right on it. When that’s the case, this kind of happiness requires no lengthy expedition, no expensive equipment, no superior aptitude or special companions; just the willingness to imagine I have everything I need and offer the consent to be right where I am, thankfully. So easy, so simple, but can be so hard. Perhaps the Kingdom of God shares some similar qualities of the X marks the spot, thankfulness, and ‘simplicity’ but also similarly challenging to embrace and appreciate. I think of it this way, when people asked Jesus, really questioned Him about what was God’s realm really like, He told them stories about their own lives. When people asked Him to tell them God’s truth about something, He asked them what they thought. With all kinds of opportunities to tell them how to think, He often told them what to do instead. Wash feet. Love your neighbor. Give your stuff away. Pray for those who are out to get you. Be thankful for what you have. In essence be God’s love where you are and be that to whatever is right in front of you. Stop where your feet are for a moment, look around. What can you be thankful for? What can you do from right there? It’s there happiness will reveal itself, it always has. Jennifer Profitt is a visiting retreat leader at Oldenburg Franciscan Center. She will facilitate Fear and Moving Forward on Saturday, January 25th. 9:30 – 2:30. $45 includes program & lunch. CEUs are available for counselors for an additional $20. Visit our website to register online, or call 812-833-6437, or write to center@oldenburgosf.com. On this Sunday, we begin “ordinary” time in the Church year. No time is “ordinary” if our hearts are open to God’s call. In today’s readings, we hear three calls. God’s call to Isaiah to be a servant–a servant who will be a light to the nations and bring salvation to the ends of the earth. Paul, who is called, in turn, calls the people of Corinth, who have been consecrated in Christ Jesus to be a holy people. John, the Baptizer, who has been called to prepare the way of the Lord, is now called to step aside for the “Man who is to come.” We too, are called to have our hearts open to God’s call to us from wherever it may come: family, friends, circumstances, or God’s soft whisper. Lord, let my heart, mind and ears be attentive to your call during this “ordinary” time ahead. May we, like John, be willing to give up our plan to follow the call that God has for us. John said, “I need to be baptized by you, and yet you are coming to me?” Jesus said, “Allow it now, for thus it is fitting for us to fulfill all righteousness.” Both John and Jesus recognized a need for a relationship with God. John knew and believed in Jesus. Jesus knew his relationship in God and wanted to fulfill the promises that were to be completed through him. 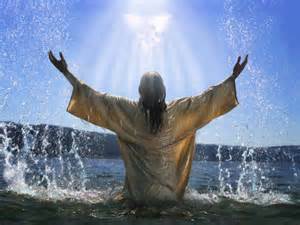 Spirit of God be upon me to know and desire a true relationship with Jesus. Through my belief help me to respond to God’s love by joining Jesus in his ministry, proclaiming the compassionate and forgiving God, our Creator. I do need a savior. Come, Lord Jesus, come! The recounting of the journey of the Magi, aka Kings, aka astronomers, is a marvelous visual as you have the Word proclaimed to you. You see that the Magi left their familiar environment to see and honor a Jewish King. They followed their star with faith and courage. Never looking back at what was but at what was before them. Similarly, just 162 years ago a young woman left her homeland to follow her star, her dream. She had no idea if it would be successful or not. However, her trust in God was deep and it paid off. What that laborious and tedious journey would lead her to in the years to come she had no idea, but she decided to follow the star. Just as the Magi came bearing gifts fit for a King so Theresa (founder of the Oldenburg Franciscans) came with her gifts of faith, dedication and wisdom. She had a goal–a dream of what could be! 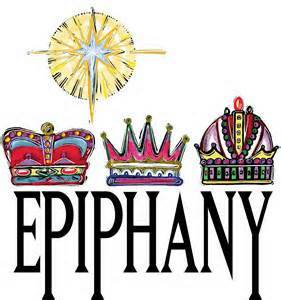 As you contemplate the profound yet simple message of the gospel for today ask God to enlighten you with the foresight and courage that energized the Magi and Mother Theresa. The Magi were stifled and could not celebrate; they had to return home by another way. It was difficult to share their experience. Mother Theresa on the other hand, celebrated by bringing new life to Oldenburg and gifting it with the Sisters of St. Francis. 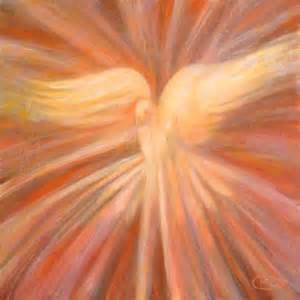 What can you do to renew and recharge your spirit to proclaim the message of Peace? What new places or locations can you journey to and spread the Good News?! I have been thinking about this particular statement lately, and about the indicators around me that can help me see what kind of God I’m allowing to manifest in my life. Since the information we ingest on a daily basis has such a huge impact on the way we understand and interact with the world around us (including our God! ), I wonder if we can assess it as a spiritual checkpoint, or mirror? What do our patterns of media consumption say about our relationship with God? Who is the God we seek to animate in our lives via the media we choose to feed our minds? Is it a God of life and hope, leading us to fullness in our own lives? These questions remind me a lot of the Cherokee Legend of the two wolves where a grandfather teaches his grandson how to know whether “good or evil” will win over the struggles of one’s inner life. In the end, the spirit that wins is the one that we feed… If we apply that same analogy to the case of media consumption, we know that what we seek will begin seeking to connect with us in return thanks to evolving marketing tools. What a striking and specific example to be mindful of what we attract! On a broad scale, TV and radio adjust content to majority ratings – so you may not personally see more of what you like if you aren’t in the majority, but what is playing is always indicative and ever adjusting to social trends and desires. The Internet, on the other hand, works via its intelligent search and social media engines to give us each more of what we individually want (and less of what we ignore) – without us ever having to think about it. That being the case, we can easily find ourselves in a “small world” of our own design where our exposures are more or less limited by our likes, subscriptions, and “follows.” How important to recognize the world we are creating for ourselves – and that we are significantly empowered to influence and improve the quality of our environment. So… if we take time to assess our online interactions and news, what can we learn about our relationship with God? What do our followings, interactions, and activities reveal to us about our beliefs? Are they harsh and critical? Taunt and bully? Filled with life and hope? Does the reality of the picture they paint jive with the God of our hearts? If not, what new “seeking” (liking/following/ subscribing) or pruning might we do to change the flow of information and create an opening for a more expansive God to shine through for us? I think when we are indoctrinated in a certain way of seeing the world that it can be hard to believe that any other way exists – but when we really pause and seek change, new things emerge. 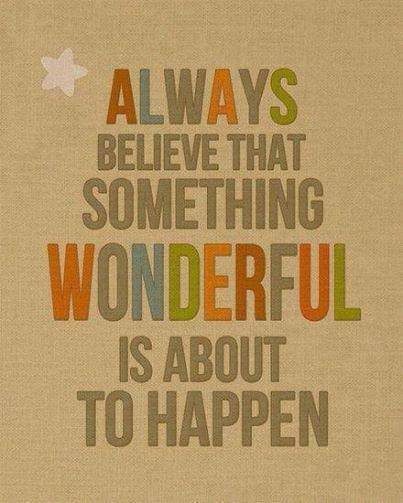 One of my friends who I love following posted a beautiful quote on Facebook today… “Always believe that something wonderful is about to happen.” I think that’s a great thought to feed upon. In 2014, let’s be mindful of the world of information that we submerse ourselves in and seek to consciously shape our surroundings in the image of our most loving creator God. If we pay attention to the clues of our informational surroundings and adjust what we “ingest” (and generate!) to help us stay connected with the God we believe in, I wonder what new things will emerge! If we believe, like S. Joan, in a God of life and hope, hopefully the environments we submerse ourselves in (including media) will reflect and support us in that! Still, I remember the five minutes of horror I felt when I lost my 4-year-old son at Epcot, with my husband and I and Disney security guards searching the pavilion until we found him. 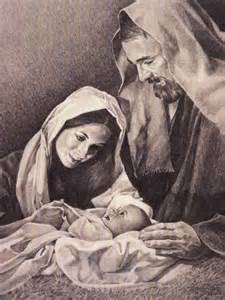 I can easily imagine their feelings when Mary and Joseph lost their son Jesus and searched for days all over the big city of Jerusalem looking for him. Did he ever talk back to them? I guess he did, now that I think about it. Maybe the better question is, can the Holy Family relate to my family? Did Joseph have any idea what it is like to provide for a family in an uncertain economy? Did Jesus ever behave in ways that caused his mother pain and suffering? Did Joseph and Mary ever simply not understand what their son could possibly be thinking? Did they ever look at their beautiful baby with awe and wonder and thank God for the miracle that made them a family? I think so. Dear Saint Joseph, you also have known family life. Both you and Mary lived as a happy couple by lovingly caring for each other. Naturally, your mutual love focused on your child, the Son of God. Like us, you were called to intensify your love in the midst of joys and sorrows. Kindly protect the members of our family. Like your son you know how to read hearts beyond appearances; help us to live in harmony by better understanding one another. May neither pride nor selfishness stifle the affection that we have for one another. Give us the courage to always remain faithful to our family commitments, so that we may all draw closer to the Son of God whose Spirit lives at the heart of a loving family. Amen.